Twisted Insurrection: Original Soundtrack Version 2 Released, Re-released and Remastered! 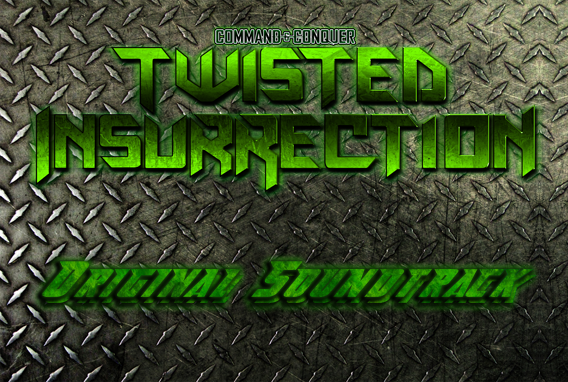 I have released the Twisted Insurrection: Original Soundtrack Version 2 in the Twisted Insurrection forums. All the tracks in the album will all be featured in the Final release of Twisted Insurrection. Every track is of the highest quality and have been remastered for you, the public to download. 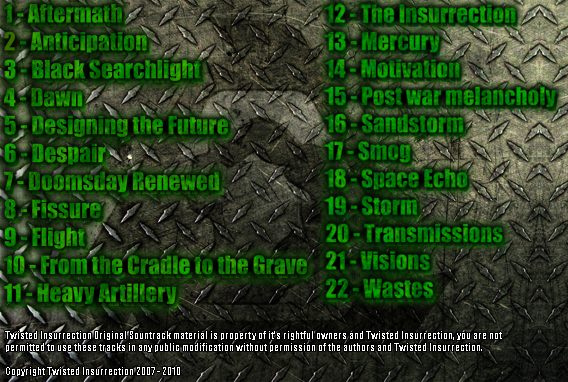 Version 2 of the TI:OST also features some new tracks such as: Anticipation, Fissure, From the Cradle to the Grave and Sandstorm. Go to this thread to download the Twisted Insurrection: Original Soundtrack Version 2. Please post comments in the thread located here rather than in this topic.